Fireplaces and fire pits always draw people together because of the coziness and warmth they convey. Outdoor fireplaces can range from a simple stone hearth to a magnificent structure that complements an outdoor kitchen or open dining spot or a lounge area. 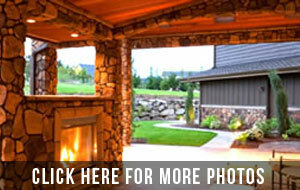 Fireplaces can also be built as part of a patio or porch wall. More popular these days are outdoor gas or stone fire pits that can be installed at low costs and are compact enough to fit nicely into a small patio. It’s still perfect for a gathering of friends and family. Patio Creation can custom-build any kind of fire pit Houston homeowners are sure to enjoy. You can also opt to purchase pre-assembled fire pit kits for gas or propane. Accessories for rotisserie and skewer cooking are also available.